SoftPencil Tuesday #30. Christmas/Winter images. CAS(E) this Sketch Challenge #3. This blog is a babe in the challenge world as this is only their 3rd challenge. But I think this one will be around for a LONG time as it looks like a lot of fun! 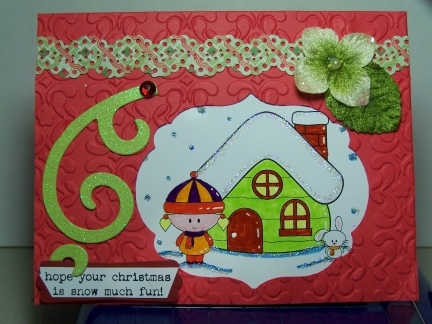 Fun & Fast Notes stamp set, Primrose Petals stitched ribbon and Scallop Circle Punch. 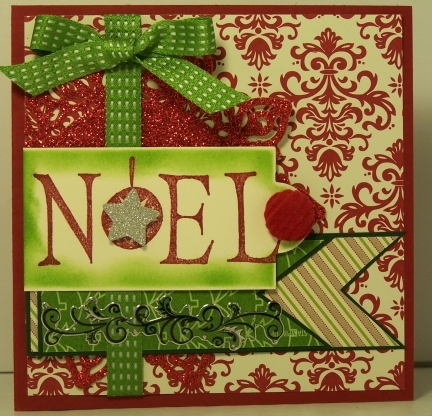 I stamped my image in Soft Suede and heat embossed with clear embossing powder. Then using my markers I colored the image. 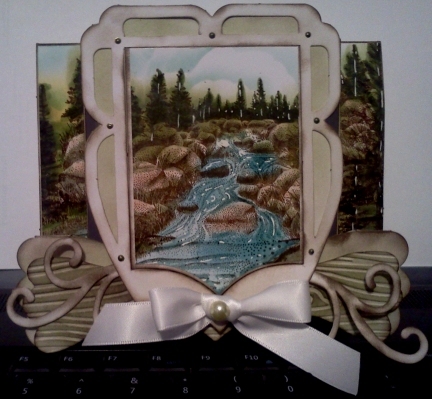 I tied the bow and then added dimensional adhesives to the back and mounted onto my card base. 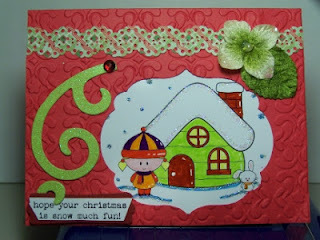 I love this CAS(E) card! Don't forget to check out my side bar for something special from Stampin' Up! Crazy 4 Challenges #160 is a sketch! 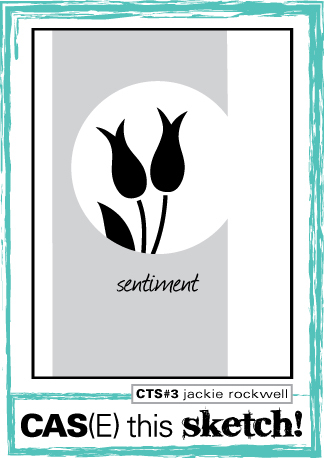 I love playing with sketches when creating my cards. I teaked this one a bit but I think I stuck pretty close to the sketch. Love this little bear. Isn't she adorable?! Thanks AUD! 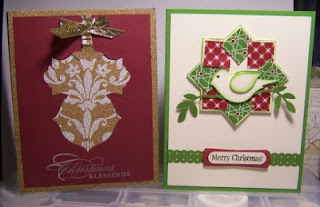 I love these dies!!! 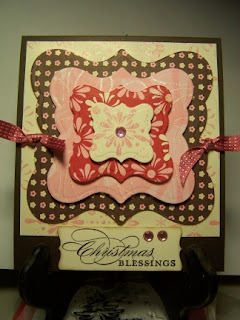 I won these dies from AUD in a monthly drawing she has on her blog every month. 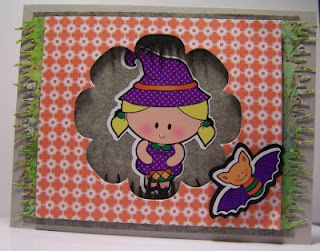 Be sure to check out my side bar for some FAB-O news from Stampin' Up! Freshly Made Sketches Challenge #58 brought to you by Narelle. Fab-o sketch. Fun to create with. 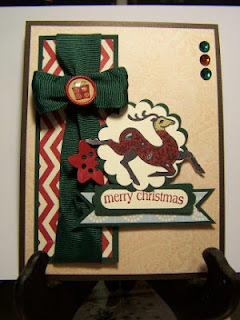 Be sure to check out my side bar for important news about Stampin' Up! 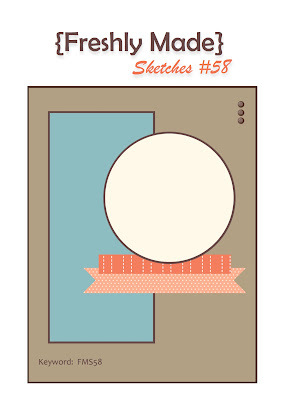 This week The Paper Players has challenged us to create a project with a frame. SO I had to use more of my NEW TOYS! 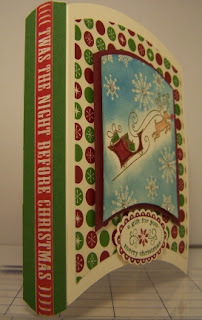 For my book gift box I used the Book 'n' Box Template by Paula Walters @ Which Craft UK. 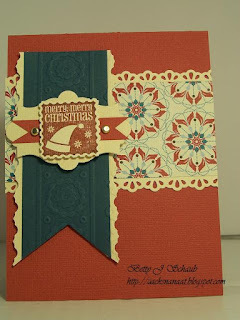 DSP is from Stampin' Up! The sentiment stamps is from Stampin' Up! 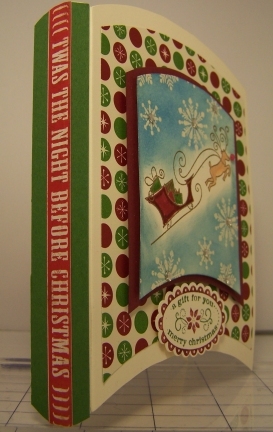 set Christmas Punch. The little sleigh is from Unity. 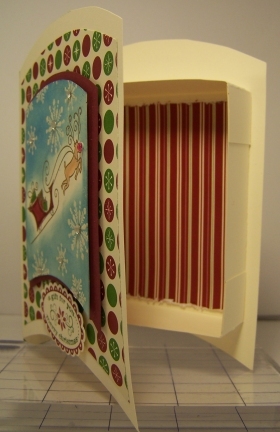 I am soooo pleased with my project. Hope the ladies at The Paper Players will like it too! 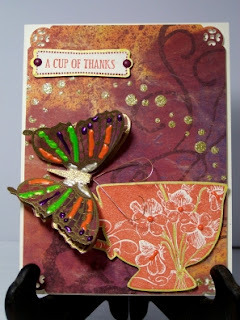 My first time playing with this blog's challenges. I loved the sketch though. I really love layering on my cards and this sketch gives me ample opportnity for that. 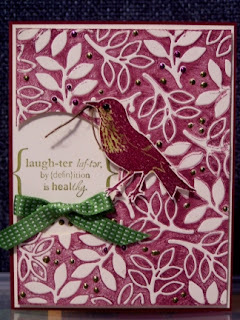 All dsp is from Stampin' Up! 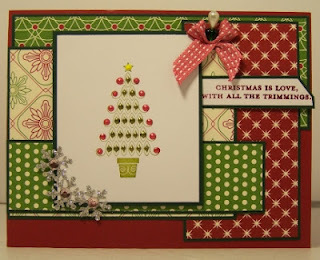 The little tree stamp is also Stampin' Up! from the Contempo Christmas set. This set is great for quick cardmaking. I added some pearl stickles to dress it up a little. Silver rhinestone snowflakes from added a little bling! 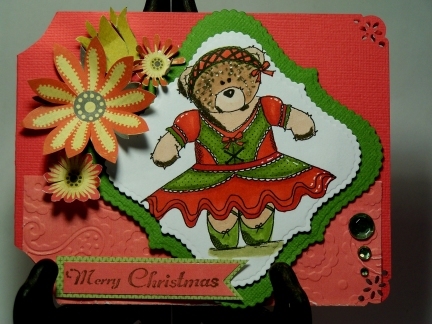 This card was created for and enter in the sketch challenge at Christmas Challenges Blog. Hello my blogging friends. I hope you are enjoying your weekend. I am having a nice time today playing with my NEW TOYS! Recently, I made a purchase from the UK of Paula Walters Designs at Which Craft? 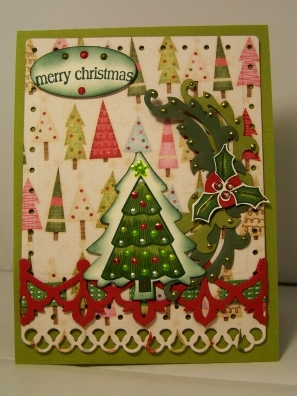 One of the items I purchased was a kit of a Fabulous Die Cut and Scored Bespoke VINTAGE Step Card. 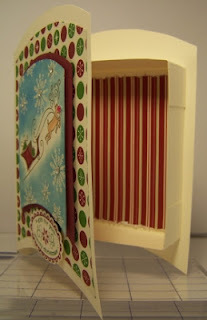 In the kit are 6 Vintage Step Cards, 4 Plain Bespoke Vintage Frames, 4 Frilled aperture Bespoke Frames, 4 Plain aperture Frames, 6 Bespoke base & side edge plates, 6 x 2 Mirror mage Decorative Flourishes and Envelopes. All you have to do is stamp your images and cut and mount them. For my creation i chose StampScapes Stamps. 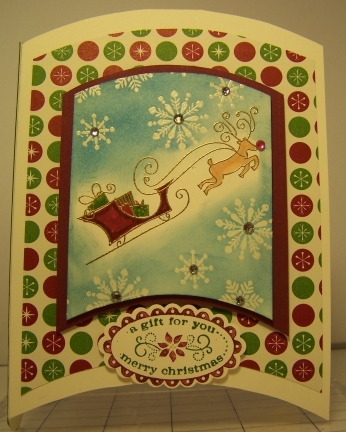 I stamped my images in SU Soft Suede ink. Then using my SU markers and ink pads with daubers I colored my scene. I added a little white gel pen for highlights. I distressed with edges of my frames with SU Soft Suede and a dauber. I embossed with the SU Woodgrain ef. then added some distressing with SU Soft Suede and Old Olive with a dauber. So are you ready now??? If you've got anything good or bad to say about this I'd love to hear it! Any suggestions on how to improve it would be welcome as well. 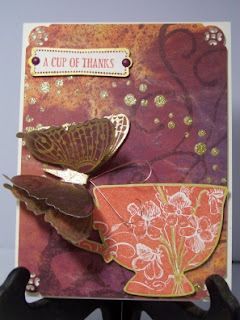 I am back today with another CASE Study challenge card. I got lots of nice feedback last week but I didn't get picked. I am baffled as to what I have to do to get it right for these ladies. They DO challenge me! Anyhoo, Julia Stainton is once again posting the card to CASE this week. 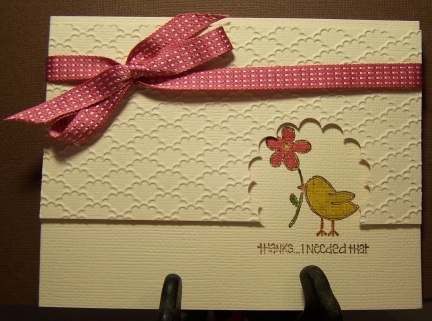 I love the clean simplicity of her card! But if you know me, I got to take it over the hump. So above is my creation. About a month ago I won a prize from Hippie Aud. Well, Aud had some health problems and some other things come up. But yesterday I received the package. She BLEW MY MIND! Copics, Spellbinders, Quick Cutz, ribbons, embossing folders, rhinestones, if you could name a cardmaking product it was in that box! 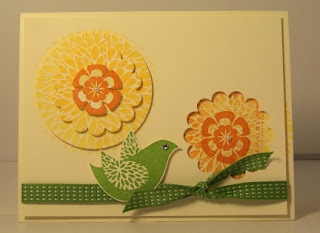 So I was immediately drawn to this embossing folder and thought with it's solid and outlined elements it reminded me of Julie's CASE project. Ok so I embellished a little with Stickles Pearls. But whether my card get picked or not, I already think I'm a winner with this one! Got some new stamps in the mail so I just had to go for it! I know the gals at CASE Study probably won't think this is a true CASE or that it is CAS. BUT, I am so happy with how it turned out. So I am going to enter it anyhoo! City Crafter Challenge #129 - yellow, orange and green. Got it! These are fun colors to mix and match. We are headed into Fall here in the US. Oranges, yellows and greens are still visible for a little while yet. But it won't be long before we kiss them goodbye and turn to russets, umbers, and fading shades of green. I really enjoyed creating this card. Made me feel all bright and cheery! Hope it perks you up as well. CASE Study #111 - It just so happened that I needed a masculine get well card. So I pulled out my The Open Sea set (C123032). 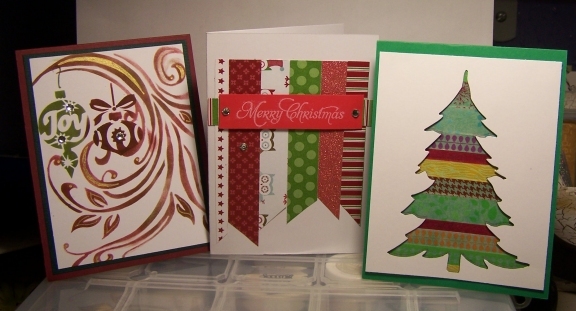 I have to say, it is my "go to" set for cards for the men in my life. Something else neat-o happened last week. I was sent a stamp from a friend as a gift and the packaging inside was two sheets of cork. Soooo, you guessed it! 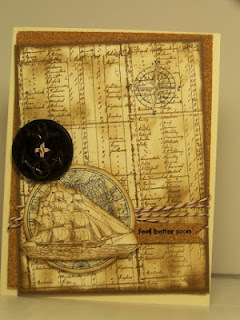 That's part of the mat on my card and I even stamped my sentiment from Word Play onto the cork! I was so excited to see it worked!!! A little distressing, some twine and a Navy P Coat button and I called this one done! Hope you like it! MOJO MONDAY @ Verve #261 --- CONTEST! Here's my entry for the sketch challenge. 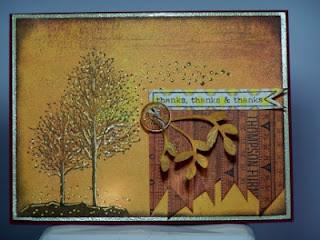 All Stampin' Up! 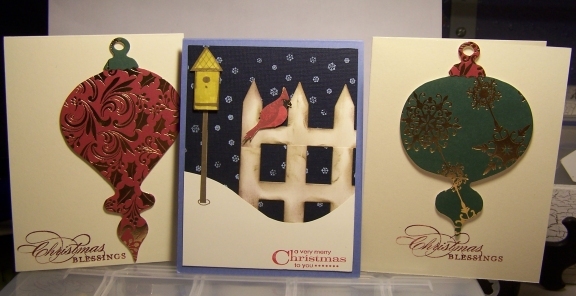 DSP, CS and ribbon. 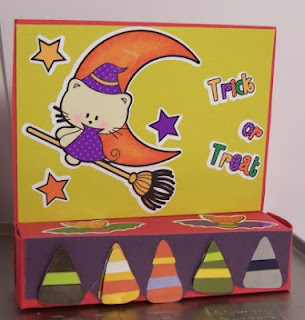 Flat Back Treat Box - you can find the tutorial HERE. 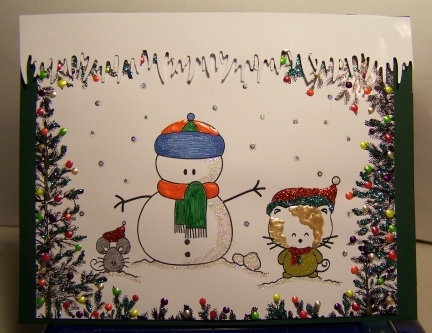 Here is what I made with the SoftPencil Stickers this week. Michu flies like the wind this Halloween!